Celeste I. Linder MA LLP has been providing Mental Health Services to children, adolescents, adults, and families for over twenty years. 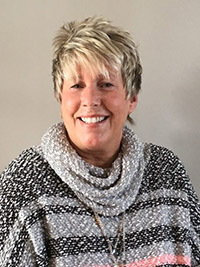 As a life-long resident of Southwest Michigan, she has very good understanding of the Emotional and Psychological challenges that her clients endure. Not only does Celeste demonstrate professional excellence in her work, she has an engaging personality that immediately puts clients at ease. Celeste is able to quickly establish rapport and credibility with those she serves. She truly cares about her clients and shows a high level of commitment to them.